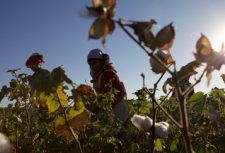 Anti-Slavery has worked to end state-sponsored forced labour in the cotton sector in Uzbekistan and Turkmenistan for a decade. We have witnessed some changes – particularly in Uzbekistan – so, should businesses now start feeling it is safe to invest in cotton from Central Asia? Whilst there are no prizes for guessing the answers are ‘no’ for both countries, let’s analyse the level and nature of risks that businesses would face if they wanted to source cotton from them. 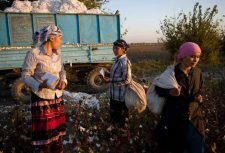 For the first time ever, Anti-Slavery were recently invited to Uzbekistan as part of a Cotton Campaign delegation to present recommendations on how to end forced labour in the cotton sector. Some senior officials expressed to us strongly their commitments to end forced labour. However, it is way too soon to say that forced labour is no longer a problem in Uzbekistan. In the 2017 harvest forced labour persisted on a large scale – at least a third of a million people, according to the ILO. Only following the 2018 harvest this autumn will we be able to tell if the Uzbek Government is truly progressing in its commitment to end forced labour. What’s more, independent organisations trying to monitor the cotton harvests transparently still face difficulties. Although the Uzbek Government have opened communication with some independent monitors and released some human rights activists from prison, challenges remain. The websites of some independent publications and international NGOs, including our own Anti-Slavery’s one, are still blocked; independent organisations are not yet free to register; and many Uzbek activists, including some who are still in fear of returning to the country, still face administrative charges and penalties. At the current time, there remains a high risk of forced labour in the supply chains of companies sourcing from Uzbekistan, on top of other human rights considerations. In neighbouring Turkmenistan there are no signs of progress and the situation in the last harvest even worsened. 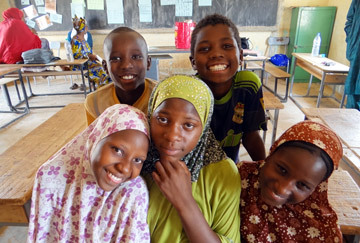 Our partners Alternative Turkmenistan News found that for the first time in a decade, in 2017 authorities also mobilised masses of children in some districts to pick cotton. Year on year the Government forces tens of thousands of civil servants every year to the fields under threat of punishment, including loss of wages and termination of employment. The regime also intimidates and detains activists who try to report on forced labour, such as Gaspar Matalaev, who is currently serving a three-year prison sentence on false fraud and bribery charges. Turkmenistan is the 7th largest exporter of cotton in the world, and 80% of Turkmenistan’s cotton exports go to Turkey, Europe’s second-largest apparel supplier. As a result of these connections, any businesses sourcing from Turkey could have forced labour in their supply chains. Several Western apparel companies have been linked to Turkmenistan production facilities, including through the company Calik Holding, a joint venture of Turkish and Turkmen investors. It is almost guaranteed that any business sourcing from Turkmenistan will have forced labour in its supply chain. 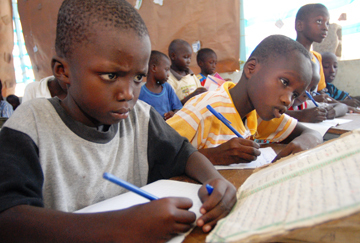 Economic pressure is essential in pressing for reforms towards an end to forced labour. 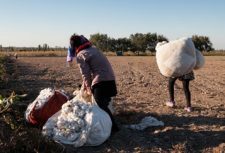 A pledge not to knowingly source cotton from Uzbekistan signed by over 250 brands has proved a key point of leverage in moving the Uzbek Government towards reform of the state system of forced labour in cotton production. Now, we need companies to uphold their commitments not to source cotton from Uzbekistan, and to extend their commitments to not knowingly source cotton from Turkmenistan (by taking extra care in their sourcing practises) by signing the Turkmenistan Cotton Pledge. This will send a clear message to the Turkmen government that international brands will not accept forced and child labour in their supply chains. And here’s where the Anti-Slavery supporters come in. We need you to put pressure on businesses to sign the Pledge. Why not tweet at your favourite clothing brand to publicly encourage them to sign the pledge (just click the ‘Tweet’ button below and add a brand’s handle), and use your consumer power by buying only brands that pledge to eliminate forced labour from their supply chains.